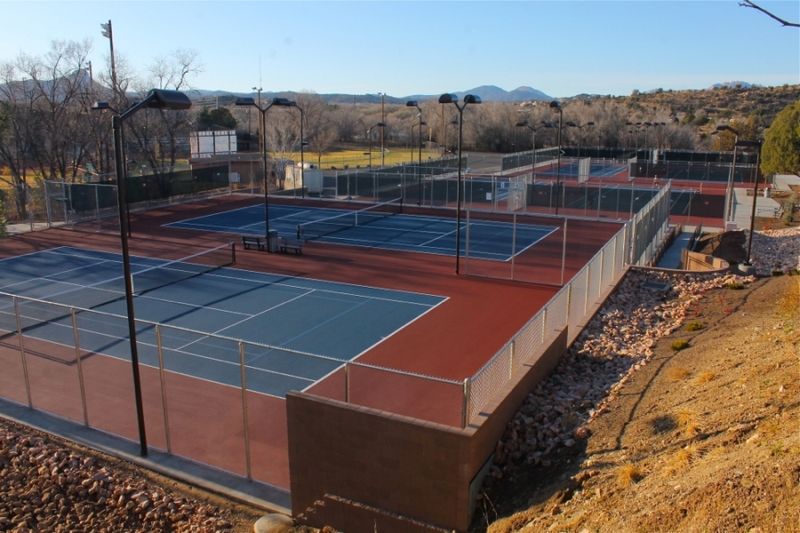 Yavapai College Tennis Center - Prescott, Ariz. 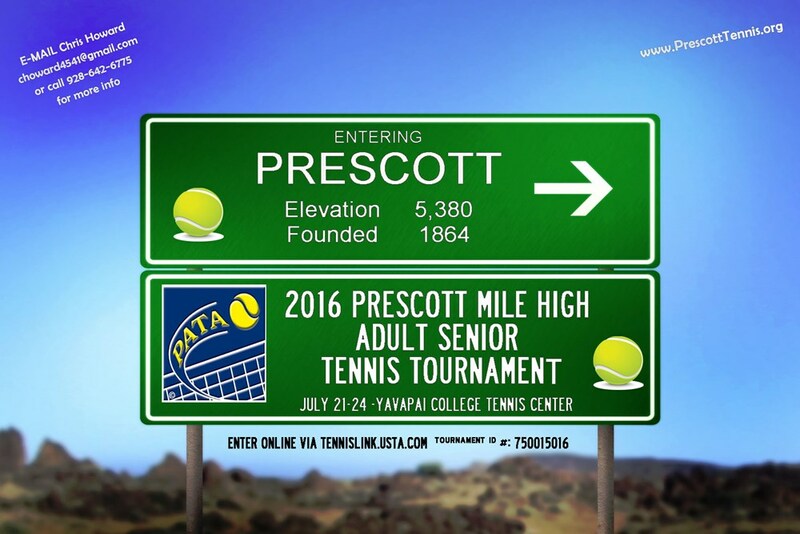 Beat the extreme summer heat with an escape to the elevated mountain town of Prescott, Arizona this summer for the Prescott Mile High Senior Adult Open, July 21-24, 2016. Play in mile-high elevation (and then some - 5,380 feet) in this cool, small mountain town of just over 40,000 people, and located about 100 miles north of Phoenix. This tournament has been a fixture in Prescott for over 25 years, and offers a low-key, relaxing time and a unique tennis experience playing at the new digs on the campus of Yavapai College. This annual event is not only a Level II Southwest event featured on the Adult Grand Prix Series, it's also a fundraiser for the Prescott Area Tennis Association's tennis activities in the community, making it a terrific event to support just by playing! Adult men's and women's age group draws range from 30 and up, and men's, women's and mixed open doubles event are also on tap for this year's event. Register by going to the EVENT HOMEPAGE HERE. Entry deadline is July 10, 2016. For more information, please email tournament director Chris Howard at choward4541@gmail.com or by phone at 928.642.6775.